We can help you with just about any type of business entity formation, agreement, transaction, negotiation or dispute. We have broad experience in both business creation and maintenance, as well as dispute resolution and litigation of all types of civil and commercial claims. We do not accept cases in the following areas: Auto sales or repairs, Consumer or small D.T.P.A. transactions, Civil Rights violations, Divorce or Criminal matters. The entire purpose of paperwork is to prevent litigation. Clarity is key. Though from time to time, people will be unreasonable. Though we often handle complex litigation that arises from such disputes, our initial goal is to determine the most cost effective and practical resolution to your particular problem. There are often solutions to your problem which you may not have considered. You will find us very friendly, candid and easy to talk with. Of course, our discussions will be absolutely confidential. Whether we are in the courtroom or the conference room, our mission it to meet your goals. Whether it is negotiations or litigation, we have both the insight and experience. The initial consultation is always free. We handle most of our work, including matters in litigation, on an hourly fee basis, charged against a replenishing initial retainer on a monthly basis. However, under certain circumstances, we will agree to perform litigation on a contingent fee basis, which is paid only when, and if, a recovery is made. Mr. Joe House, Ms. Perron and Mr. Ben House have primary responsibility for supervising all matters accepted by the firm, which is located in Houston, Texas. Mr. Joe House is Board Certified in Personal Injury Trial Law by the Texas Board of Legal Specialization. Ms. Perron is licensed in Texas and Louisiana. Benjamin House is licensed in Texas. An attorney owes you a fiduciary duty. He is required to put your interests above his own. This is the highest duty recognized in the law. You should feel extremely comfortable with your lawyer. OUR FIRM PRACTICES IN: - Business Disputes - Business Formation - Civil Litigation - Commercial Leases - Construction Issues - Contractual Issues - Major Personal Injury - Mediation - Trademarks-Trade - Wills & Trusts We do not accept cases in the following areas: Auto sales or repairs, Consumer or small D.T.P.A. transactions, Civil Rights violations, Divorce or Criminal matters. During our years of commercial litigation and dispute resolution in various fields, it became increasingly clear how avoidable so many of these disputes would have been with good legal advice from the outset. Thus, we have always striven to make this "upstream" approach a larger part of our practice, while simultaneously providing our litigation skills and insight when necessary. Our philosophy is simple. Protect Texas businesses by placing the emphasis on making it easier to do business. Our combination of experience in the construction, investment property and real estate development industry, and in the legal world thereafter, either behind a desk, at a conference table, in mediation and in the courtroom give us a broad perspective which allows us to fashion the appropriate tools and remedies to meet your goals. Our length and breadth of experience notwithstanding, it is truly our concern for your particular situation and the creativity we bring which make us different. We are partners with our clients in that meeting their goals is the gauge of our success. We'll listen to you, learn from you, and apply our knowledge and experience to your specific issue. One size does not fit all. We are not a hammer that sees everything as a nail. It is our duty to help in any way we can to prevent problems before they arise. This can only be done with a close working relationship with our clients and friends. Secondly, we are used to creatively fashioning new and different options and remedies for each and every individual client. No two businesses have identical goals, issues or problems. Tailor-made solutions are key, and require a type of problem-solving that you will find in lawyers that have been business owners and entrepreneurs themselves. Mr. House is also Board Certified in Personal Injury Trial Law by the Texas Board of Legal Specialization. He is licensed by the State Bar of Texas, and he is a Certified Mediator who has received numerous appointments by local judges. He has been practicing both business law and personal injury litigation for over thirty years in Houston and the surrounding counties. 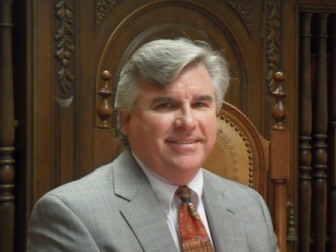 He has successfully created numerous companies, tried dozens of business, construction and personal injury cases to jury verdict and is familiar with most major industries, including real estate, oil and gas exploration and production, commercial and residential real estate construction, manufacturing and service industries, and health care. He has practiced in many of the local civil, family and probate courts. Prior to his legal career, Mr. House came from the real estate development and construction industry, where he obtained years of experience in new construction management and renovations, commercial property brokerage, and all aspects of commercial and residential real estate development. 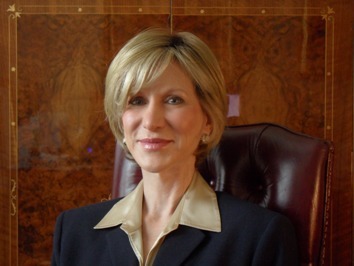 Carla Perron is licensed in both Texas and Louisiana, in addition to the Federal District Court for the Western District of Louisiana, the Fifth Circuit Federal Court of Appeals and the United States Supreme Court. She has authored many successful appeals and has been at the forefront of further defining, clarifying and expanding the law. She has been practicing business and personal injury litigation for over twenty years. She began her legal career as a Law Clerk for the Louisiana Third Circuit Court of Appeals. Thereafter, she became associated with the preeminent plaintiff personal injury litigation law firm in Lafayette, Louisiana where she handled a heavy motion, briefing and appellate docket for 10 years. She subsequently became a founding partner in House & Perron in Houston, Texas. Throughout her career, she has handled a varied docket of substantial and complex personal injury and commercial cases; with an emphasis in the Federal practice, including admiralty and maritime personal injury law including appeals. Ben House is the latest member of House Perron & House. 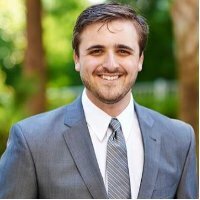 Ben focuses primarily on construction law, business and commercial contracts and transactions, and commercial litigation representing clients in a variety of construction and business disputes. He handles all aspects of both transactional work and litigation, and is a critical part of the firm's team approach to handling major cases. He has appeared in multiple trials and numerous hearings and is a strong advocate for his clients. The younger Mr. House is a graduate from Texas A&M's College of Architecture, carrying a B.S. in Construction Science. Ben has hands on construction experience having worked for a commercial contractor in his past, similar to Joe House, and is a member of several construction and architectural honors societies. Ben was a student editor of the South Texas College of Law Construction Law Journal and was first in his class for his contract damages coursework, receiving a CALI award for the same. Ben has many friends in the contracting industry and is avid about protecting the rights of such companies.